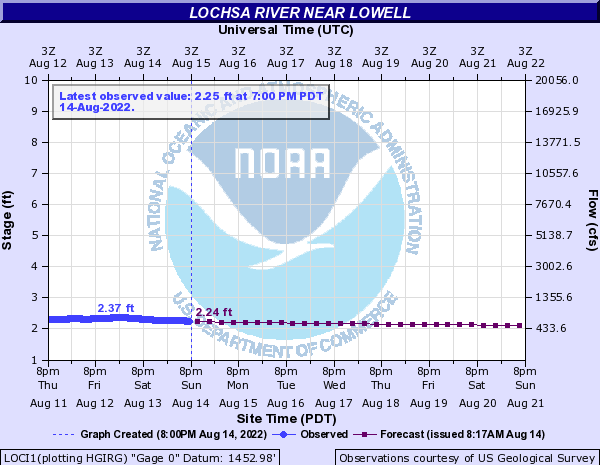 This stage reading is from the USGS gaging station 0.7 miles upstream from Lowell bridge, and it may read between 2-3 feet higher than the stage reading on the staff gage at Lowell bridge. 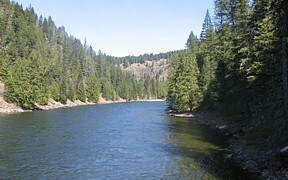 TO FLOAT THE LOCHSA RIVER. For the most current stage reading from Lowell bridge, please call the Lochsa Ranger District at 208-926-4274, or visit LOCHSA.INFO.